HRANA News Agency – Atena Daemi, imprisoned human rights activist in Evin Prison, has gone on hunger strike in protest against “the fake case” and judicial condemnation of her family members. Ms. Daemi has lost 10 kg weight and has physical problems. 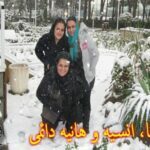 HRANA News Agency – Two sisters of Atena Daemi, imprisoned human rights defender, were acquitted of the accusations made by the Iranian Revolutionary Guards, based on a warrant issued recently by Shahid Moghadas Court, in Evin. 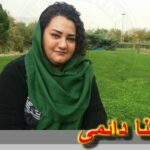 HRANA News Agency – The court session of Atena Daemi, imprisoned human rights activist, was held in Shahid Moghadas court in Evin prison. The IRGC is the compliance in this new law suit. During this session, some of the allegations of Ms. Daemi was dropped and the one regarding insulting the officers and hindering the apprehension was heard. 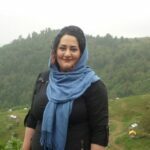 HRANA News Agency – Atena Daemi, human rights activist and prisoner of women’s ward of Evin prison, carried a dry hunger strike in protest to what she believes to be the fabrication and profiling a case against her family to put more pressure on her, in warden’s office, and demanded a visit with prosecutor of ward 2-A and judiciary, after she was informed that her family were summoned to the court. As a result, she who wanted to communicate her protest, visited the head of prison, but he instead of following up, asked her to get back her compliant against the revolutionary guards with a threatening tone. 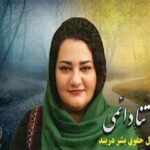 HRANA News Agency – The trial of three members of Atena Daemi’s family was held in Shahid Moghadas Court in Evin Prison. Two sisters and one of the brothers in law of this family attended the hearing. According to the interrogator, the brother in law was acquitted and Atena’s two sisters were released on the bail after being charged. 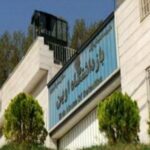 HRANA News Agency – Female prisoners in the women’s ward of Evin prison, held a ceremony on the occasion of “December 10, Human Rights Day”. HRANA News Agency – On December 27, as a part of the new case against Atena Daemi, imprisoned human rights activist in Evin prison, three members of her family, including her two sisters and her sister’s husband, were summoned to Shahid Moghadas Court in Evin Prison. In the warrant “the report of enforcement against you” was mentioned as the reason of being summoned. HRANA News Agency – Atena Daemi, imprisoned human rights activist was charged at Shahid Moghadas court in Evin prison on December 19 because of being sued by IRGC officers. HRANA News Agency – Recently a campaign with the hashtag #right-of-prisoner with the aim of calling the head of prisons to respect the rights of inmates such as access to health care, has been launched based on the international law. The campaign has been organized on the basis of Atena Daemi’s letter before going to jail, by United for Iran.